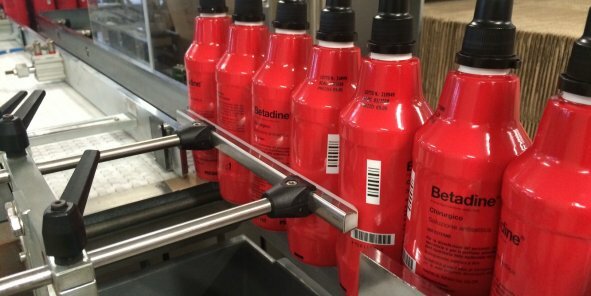 Did you know that the famous brand Betadine, bestseller in antiseptic solutions and sold worldwide, is produced in the conurbation of Bordeaux by the Meda Pharma Laboratories Swedish group? It is in Gironde that the only European Betadine production facility is located, in all its shapes and forms. Here, in 2012, the firm decided to invest 16 million euros in a workshop producing Betadine single doses, resulting in the creation of 12 jobs. This new user-friendly format, which is more cost-effective and has a limited lifespan, is more suited to antiseptic domestic use. The Mérignac site and its 230 employees produce 39 million Betadine bottles, tubes and doses each year.